The Jack Russell Terrier (JRT), Parson Russell Terrier, or Jack Russell as it is affectionately known; has a long and distinguished past. That past, however, is shrouded in mystery. One thing we know for sure is that the terrier began its life hunting rats in the castles of England more than one thousand years ago. The Jack Russell evolved from the terriers of that time period as sporting events such as badger baiting and rat killing blossomed in popularity. It’s not clear when the transition to todays Jack Russell occurred, but it is clear that Parson John Russell played a large role. John Russell was a clergyman known for his love of hunting, and his preference for terrier breeds. Legend has it that John “Parson Jack” purchased a terrier named Trump from a milkman because the dog embodied all that he sought in a hunting terrier. Jack went on to breed the terrier to meet his specifications, and not those of dog show breeders of the time. Though it’s not clear how closely his terriers resembled the current day Jack Russell that bares his name, after his death in 1833 all white terriers with similar markings were dubbed Jack Russell Terriers. If nothing else, one defining characteristic bred into Jack Russell’s has endured the test of time. Pason Jack believed that an important breed characteristic of his terriers was that they not be overly aggressive. 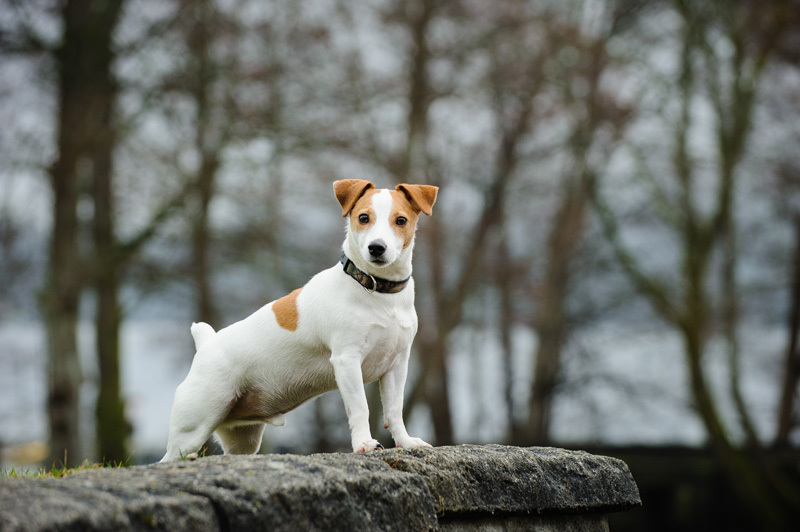 Tenacity and courage are two qualities that most accurately define the Jack Russell, and coupled with Parson Jack’s goal, the JRT is now a vivacious, playful, and energetic dog. The JRT should be confident and bold, but not nervous or aggressive. Does the Jack Russell need a lot of grooming? The exuberance of the Jack Russell breed translates to an adventurous spirit. Digging holes, squeezing through tiny spaces, and generally getting dirty is what makes this breed so much fun. For that reason, the JRT is often in need of grooming more than the average puppy. The Puppy Store always recommends regular bathing and brushing to get dogs used to the process. That way, when it becomes a necessity, it will be a pleasurable experience for you and your Parson Russell Terrier. Do Jack Russell’s need a lot of exercise? As you can imagine, any dog that was bred to chase rats and foxes is not slouch when it comes to energy. Though most Jack Russell breeders are focused on looks and bloodlines, the liveliness and adventurous disposition is ever present. The JRT is a great dog for those with an active lifestyle, always eager to spend time with their owners regardless of the adventure. Jack Russells can do well living in an apartment, but long walks or regular dog park trips should be a priority. The Jack Russell Terrier, like all dogs, should be socialized from a young age and daily walks should be used to reinforce training. Are Jack Russell’s good family dogs? The Parson Russell Terrier, if properly trained and socialized, can make a wonderful addition to any home. Older children are often a great match for the high energy spirit if the JRT, but the breed may resent younger children. The Jack Russell does not tolerate rough-and-tumble play, tail pulling, or general physical “molestation.” It’s imperative that younger children be taught to respect the breeds space, especially during feeding. The dominant nature of most Jack Russell’s means that socialization and training is of great significance if you intend to have other pets. Russell’s can have good relationships with other dogs, but should always be monitored around cats, and never trusted around other small rodent like animals. Their nature is to hunt smaller animals, cats and gerbils certainly fall into that category. All dogs have unique and inherent personalities. Of course there are some exceptions to the rule, but ultimately it’s important to understand what makes each breed a good fit for your family. 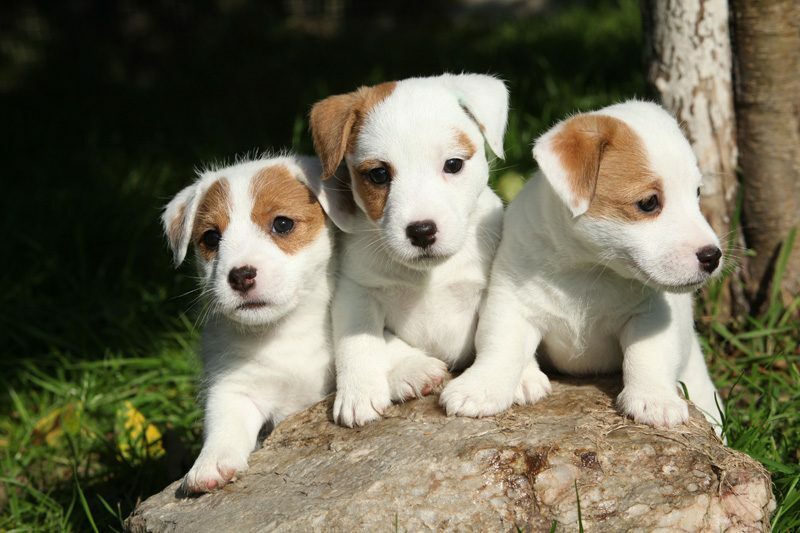 If you have any questions about Jack Russell Terrier puppies, and how one would fit with your family, please contact us for more information. 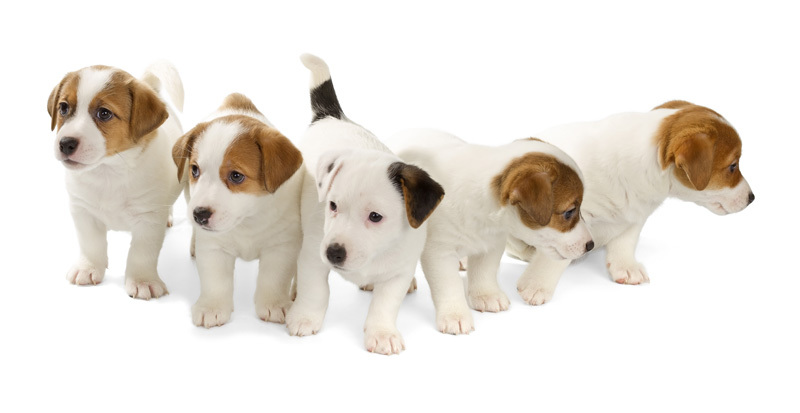 Our puppy specialists will help you decide whether the JRT is right for you. You can also take our perfect puppy quiz to find the best dog for your unique personality and lifestyle. When you’re ready to find you next four-legged friend, stop by to meet the puppy of your dreams, we’re open 7 days a week.